Just outside the Village of Portland on a paved Township road you will find this great 3 bed, 1 bath bungalow with a large detached 1.5 car garage. The home offers plenty of space, excellent kitchen with lots of cupboards, separate eating area and a large bright living room that overlooks the wonderful backyard. Three large bedrooms and a partially finished lower level with rough in already in place for another bathroom. Improvements include garage built 2009, woodstove in 2011, new shingles in 2013, new flooring in the kitchen, dining and living room 2015. 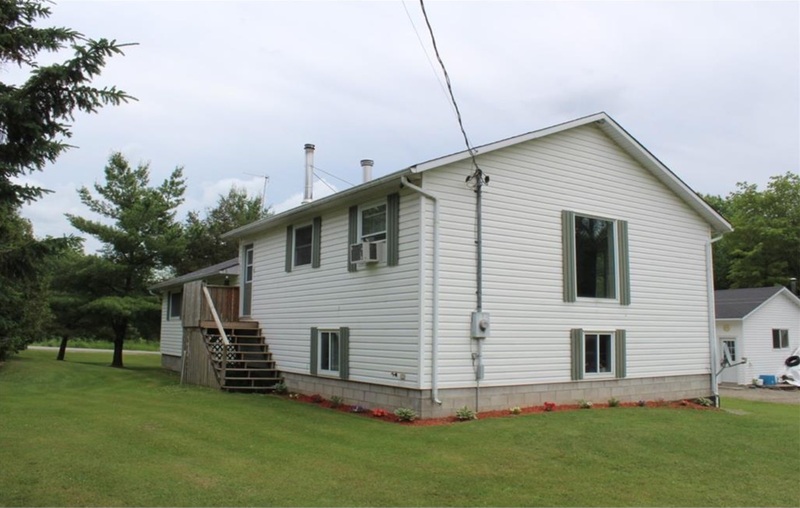 Recreational park, trails and Big Rideau Lake minutes away. Only 20 min to Smiths Falls / Perth, 30 min to Brockville & 40 min to Kingston. Great value here and worth a look!! !